Charles Menkhorst joined Euroports as the Group CEO in 2011. Charles describes the overall turnaround of Euroports into a financially stable multinational company with great growth potential as his key accomplishment. Charles joined Euroports from APM Terminals, where he held the position of CEO for Africa, Middle East and the Indian subcontinent region. 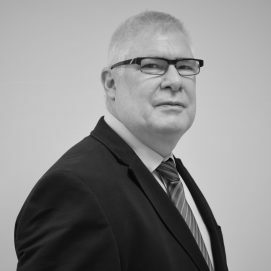 Charles has over 20 years of experience in the port and logistics industry where he has held leadership positions in commercial, operations, strategy and general management with several global supply chain companies. Charles has lived and worked in the USA, Singapore, the United Arab Emirates, Switzerland, Germany and the Netherlands. Charles holds a Master’s degree in economic sciences from Nijenrode University in Breukelen, the Netherlands. 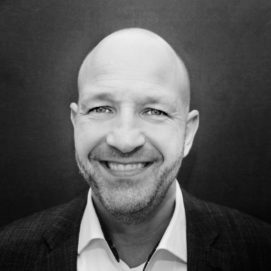 Olivier van Noort joined Euroports in 2013 as Group Operations Support Director and was appointed Group COO in 2016. Olivier joined Euroports from Impala Terminals, a wholly owned subsidiary of the Trafigura group. As Global COO he held various key responsibilities, including overall responsibility for the group operations, development and implementation of new assets/terminals, QHSE, Process Excellence (PEX), and IT. 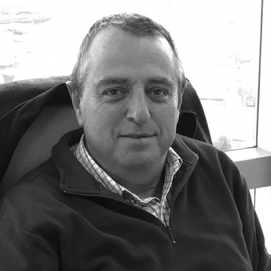 Olivier has over 15 years of experience in the port, logistics and mining industry and has held various senior management positions in the Netherlands and Australia. Olivier holds two Master’s degrees in psychology from the University of Groningen, the Netherlands. 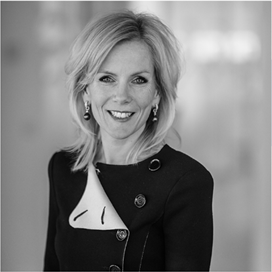 Maaike Schipperheijn joined Euroports in 2017 as Chief Financial Officer and an Executive Director. Some of Maaike’s current responsibilities include Business Finance, Corporate Finance and Mergers & Acquisitions, Controlling, Planning & Appraisal, Tax, Internal Audit & Insurance. 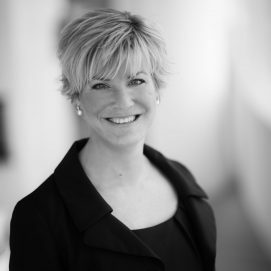 Before joining Euroports, Maaike held various finance leadership roles at Shell. She was previously Global Change Manager for Finance with Shell, leading part of the post-merger integration between Shell and BG. Maaike has lived and worked in Russia, Qatar, the United Arab Emirates and the Netherlands. Maaike holds a Master’s degree in business economics from Maastricht University, the Netherlands and is a Certified Public Accountant. Sonja Nitschke joined Euroports as CCO in January 2018, and is responsible for all Commercial activities on a global and country level as well as for Marketing & Communications. Sonja joins Euroports from Hellmann Worldwide Logistics where she was Managing Director for Belgium, Netherlands and Luxembourg. Sonja has over 20 years of commercial and entrepreneurial experience in the logistics and freight forwarding industry. Sonja’s previous leadership roles include Managing Director (Belgium, Netherlands, France) at UTi Worldwide where she was responsible for the Freight Forwarding and Logistics operation. She has also held the position of Senior Vice President Sales & Marketing for Europe, Middle East & North Africa responsible for Global & Local Sales, Marketing & Communication, Tender Management & Solutions Design. Sonja holds a Master’s degree in Business Administration & Economics from the University of Hagen, Germany. 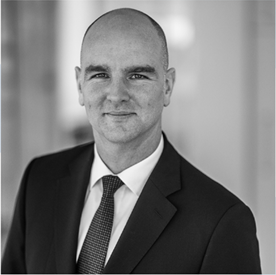 Patrick Biesdorf joined Euroports in 2007 as Corporate Lawyer, was appointed Group Legal Counselor 2011. He became a Member of the ExCom in 2014. Before joining Euroports, Patrick worked as trainee solicitor (Rechtsreferendar) at Staab & Kollegen Law Firm in Germany and at William Fry Solicitors and Tax Advisors in Ireland. Patrick started his career with Euroports at their offices in Luxembourg and relocated to the Netherlands in 2013. To date he has played a key role in the consolidation of the corporate group structure (including mergers and acquisitions and joint-venture structures), the implementation of the corporate-financing structure, and numerous restructuring projects. 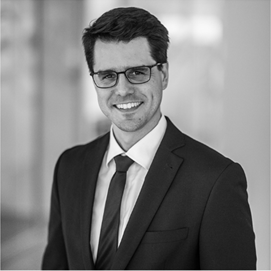 Patrick is a fully qualified German Lawyer (First and Second State Examination) with degrees and certifications from the University of Trier, Germany, and the Appellate Court of Saarbrücken, also in Germany. 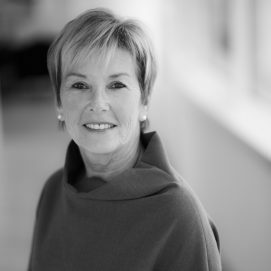 Lucrece Reybroeck joined Euroports in 2010 as CHRO and works closely with all business functions to ensure Corporate HR practices are implemented in areas including leadership growth, reward, culture, diversity and inclusion, learning and development and compliance. Lucrece joined Euroports from DHL’s European headquarters and sales organization, where she led various complex business transformations and integration projects as HR Director. She has over 30 years of experience in the logistics industry. Lucrece holds Master’s degrees in law and education from Ghent University, Belgium. 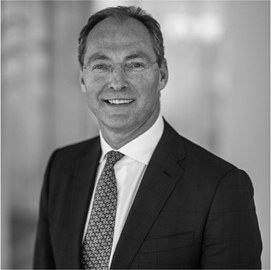 JanPaul Landman was appointed Group Chief Information Officer as per July 2018. The previous year, JanPaul had been responsible for rolling out the group IT TOS & ERP platform across the group in various countries. Prior to Euroports, JanPaul has been CIO of various companies in logistics, shipping and trading, such as ECT, Sea-Land Service Inc., Cygnific ( KLM Customer Service Division ) and Royal FloraHolland. JanPaul is a strategic doer with a strong passion for innovation and digitalization. He holds a Master’s degree in IT Management at Delft University of Technology, the Netherlands. Adam Grater joined Euroports in 2016 as the Group Operations Excellence Director. Adam was promoted to Group Operations Support Director in January 2019. As Group Operations Support Director he oversees Operations Excellence (OEX), Asset Engineering, Procurement, QHSE, Risk Management and Insurance. Adam has over 17 years of experience in port, terminal and maritime supply chain management where he has held various senior management positions both in Africa and Europe. Adam has lived and worked in a number of African countries and the Netherlands. Before joining Euroports he worked in multiple complex port and terminal environments handling and managing various forms of industry. 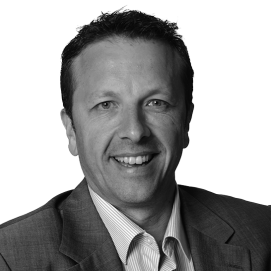 He has a proven track record of delivering tangible results whilst managing high performance teams. Adam has successfully completed various studies through GIBS (Gordon Institute of Business Science). Gabriël Kierkels joined Euroports in December 2018 as Group QHSE Director, and has been working closely with the group and local colleagues on continuously improving Europort’s QHSE efforts. Gabriël joined us from APM Terminals, where he had several QHSE related functions since 2009. In these roles, he was responsible for all policies, practices and operations for the Health, Safety, Environmental and Security functions for the Rotterdam based terminals. He also oversaw the building project for the APMT Maasvlakte II terminal. Prior to joining APM Terminals, Gabriël was a career flight officer in the Royal Netherlands Air Force for 25 years, lastly in the role of Chief Flight Safety Officer for the RNLAF. Gabriël holds a Master’s degree in Management of Safety, Health and Environment (MoSHE) from the Delft University of Technology, the Netherlands. He successfully completed an in-company Lean Six Sigma Green belt certification program with APM Terminals. 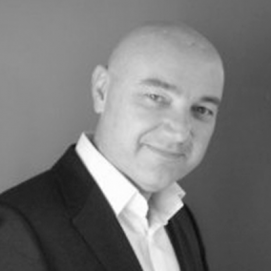 Guy Pasmans joined Euroports in 2004 as Commercial Director. He is responsible for Euroports’ freight-forwarding division, Manuport Logistics. Guy played a critical role in the global growth of Manuport Logistics, both through acquisitions and organic growth. He established Manuport Logistics offices in more than 10 counties and created a number of new subsidiaries, achieving a global reach with our freight-forwarding services. Before joining Euroports, Guy had been CFO at Unie van Redding en Sleepdiensten, a major tugboat and salvage company in Belgium. Previously, he has been a chartered accountant with Deloitte for 6 years, where the majority of his customers were in the maritime business. Guy holds a Bachelor’s degree in tax and finance, and studied middle management at Vlerick Business School, Gent, Belgium. He has also completed an International Executive Program at INSEAD Fontainebleau, France. Geert Gekiere joined Euroports in 2012, first as Finance Director and from 2016 onward as Managing Director of Euroports Belgium and France. Geert is responsible for the terminals in Belgium and France, and leads the entire Euroports team in these two countries. Before joining Euroports, he had several financial management positions with a number of domestic and foreign groups, including Vandermoortele, Neckermann Postorders and Thomas Cook. 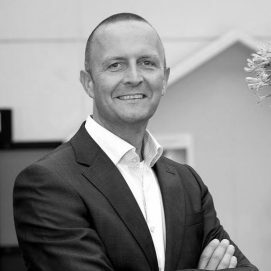 Geert holds a Bachelor’s degree in accountancy and tax from Zuid-West-Vlaanderen University and a postgraduate degree in corporate finance from Leuven University, Belgium. Timo Lehtinen joined Euroports Finland as Managing Director in 2017. 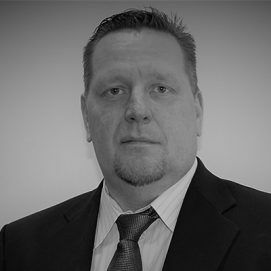 Timo has over 20 years of experience in chemical, metal and supply chain management. He joined Euroports from Boliden Harjavalta in Finland, where he held various key leadership roles, including Head of Operations and Technical Director. 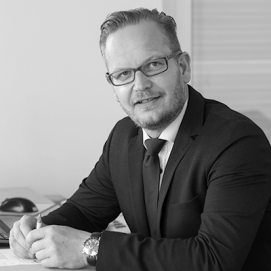 Timo also held positions including Vice President of Supply Chain at Oras Group and Managing Director at Oras in Poland. Timo holds a Bachelor degree in Chemical Engineering in Applied Sciences from Satakunta University in Finland. Karsten Lentz was appointed as Managing Director for Euroports Germany in 2016. He was previously Operations Director and Commercial Director for the Euroports Germany group. Karsten’s overall responsibilities include operations, commercial, HR, QHSE and Process Excellence for the German organization. Karsten has more than 15-years’ experience in port and general management. In 2001, Karsten made the move to the ports and logistics industry from the consulting firm ECOVIS. He joined Euroports in 2013 through the 100% acquisition of Seehafen Rostock Umschlagsgesellschaft, where he served as General Manager for the grain and fertilizer terminals, and as Head of Controlling / Procurement and IT. Karsten holds a Master’s degree in business administration and economics from the University of Rostock, Germany. Werner Cramers joined Euroports China in 2003 as Managing Director. After starting and developing the Changshu Terminal into the leading forest products hub in Asia, he recently guided the creation of Euroports’ second Chinese deep-sea terminal in Gaolan (Zhuhai). Werner came to Euroports from the former Westerlund Group, which he joined in 1988 as Terminal Manager in the port of Antwerp. 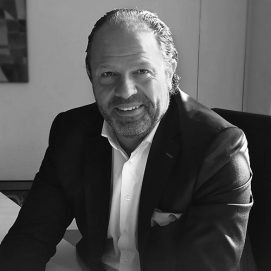 After 6 years in Belgium, he did a greenfield terminal start-up in Indonesia, before running the China operation of Westerlund Group from 1996 onwards. He has extensive experience in operational terminal management with focus on wood pulp and general cargo. For many years, he has been responsible for all Asian activities of the group. Werner holds a Master degree in nautical science from the Antwerp Nautical College in Belgium. Since 2000, Dirk Pergoot has served as Managing Director of the Euroports Group member Sals AD in Varna, Bulgaria. Sals AD’s main tasks are logistic services (as in-plant partner to Solvay), quarry operations, warehousing, transportation and packing for fertilizer customers. Before joining the Euroports Group, Dirk held several interim management functions in logistics and general management in Eastern Europe. Dirk started his career in the late 1980’s as sales manager in Germany, Holland, and Belgium. 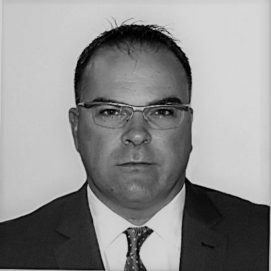 In 1993, he was appointed Sales and Logistics Director at Amylum Bulgaria, a major starch and liquid sugar producer, before joining the Turkish subsidiary Amylum Nisasta to reorganize their sales and logistic team. Dirk holds a Master’s degree from the RUG University in Ghent, Belgium. Pablo Garcia has served as the Managing Director of Euroports Iberica since 2016. He joined Euroports Iberica as Finance Manager in 2003 and was promoted to the Group M&A team in 2010 and was based in London. Continuing his global profile within Euroports, in 2013 Pablo was appointed Group Operational Excellence Director, leading projects in the different countries where Euroports is present. Before joining Euroports, Pablo developed his career at different companies such as Borges Group and Innova Holding, assuming leadership roles in IT. Pablo is an engineer with a Master’s degree in business administration and has followed an advanced management program at IESE Business School, Madrid, Spain. IBJ Awards: Euroports Belgium wins ‘Environmental Protection Award for Cargo Handling’.